Imagine what is becoming a common situation: a municipal utility needs to build an electrical substation in the middle of an urban neighborhood. Substations have a reputation for being unsightly, certainly nothing anyone wants to live near. But people need reliable power as well. How can the municipal utility balance residents’ need for electricity with the need for the area to be a pleasant, livable community? After all, substations can be in service for decades. If not done right, there won’t be a chance to make it right any time soon. 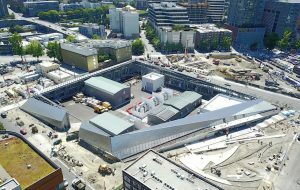 Seattle City Light’s dazzling new Denny Substation is an example of what’s possible when municipal utilities work with the community and skilled consultants to balance public concerns with technical design challenges. The substation itself is an architectural marvel. Designed by Seattle architecture firm NBBJ, Denny’s slanted walls shimmer in the sunlight and its translucent glass panels emit a soft glow when illuminated at night. The substation provides spaces for people to not only view the workings of the substation, but to meet, play and eat as well as enjoy outdoor art. Not all municipalities need to take on a project as complex as Denny, but every municipal utility can take away useful lessons from Denny’s success. City Light held numerous public meetings to ensure an open line of communications with the public. This effort helped address any issues quickly. The utility and the project team created a website to post updates, set up two webcams for the public to watch construction progress, provided a phone hotline, emailed interested contacts and created Facebook and Twitter pages about the project. Early public questions focused on what the substation would look like and whether it meant a bunch of open-air electrical equipment surrounded by a chain-link fence or brick wall. But City Light committed early to provide something different. Denny Substation takes up nearly two blocks, but it doesn’t look like a typical substation. Screening walls angle inward to lower its visual profile and are finished with an attractive combination of metal cladding and glass panels. Because the 115 kV gas-insulated switchgear and 15 kV breakers are housed in buildings, noise and equipment are out of hearing and sight. Unlike almost every other substation built today, Denny Substation is designed to invite people to the site and offer fun things to do. 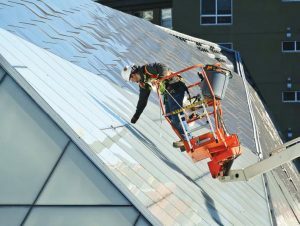 Solar panels mounted along the interior top edge of Denny’s walls and on an interior building rooftop offset the power demands of two indoor spaces for public use. A heat recovery system allows the station to contribute to its own building heating needs. Nearly half of the site’s exterior public space is planted with trees, shrubs and groundcover. A large containment vault captures potential transformer oil spills and serves to collect all stormwater runoff from the substation interior area. Denny than before. Denny is equipped with a super-safe grounding grid to guard against ground potential rise, which occurs when large amounts of electricity enter the earth, such as during an electrical fault, and that can cause an electric shock to people and animals. 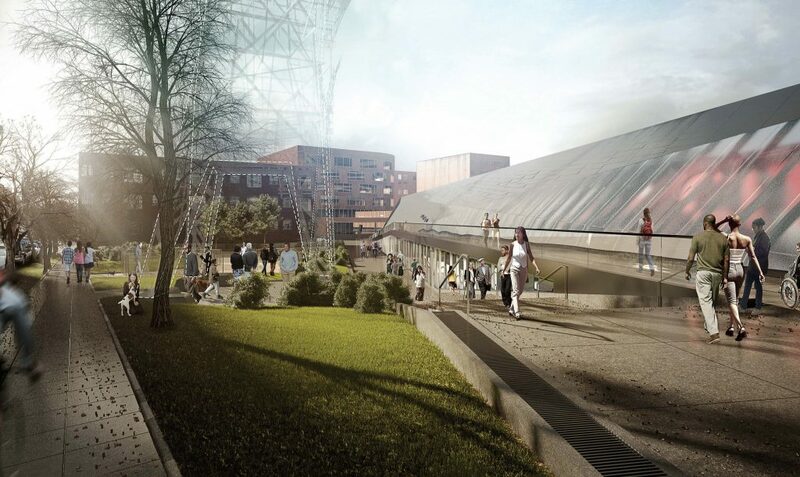 The Denny Substation site presented some demanding technical and design puzzles. A lot of equipment and functions needed to go into a relatively limited space that didn’t allow for an open-air insulation substation. The project placed additional challenges on the design team for space, access, safety and overall design. The design team had to strike a balance between providing a functional electrical power system infrastructure and public features, which was not always easy. Success depended on being sincere about making the project a benefit to both the utility and the public. The range of disciplines involved required careful planning to help them work together. This effort included weekly team meetings during the design phase. During critical parts of construction, the program team held daily meetings. Infrastructure projects from substations to generating plants can be built in the middle of a city and don’t have to be eyesores. Success requires a lot of coordination and cooperation among elected officials, public agencies, design teams and many others, as well as input from citizens. Moving the project through this process proved to be the real challenge for Denny Substation. Successfully meeting that challenge allows a municipal utility to achieve its mission of service to its customers and to also provide infrastructure that is a community asset. 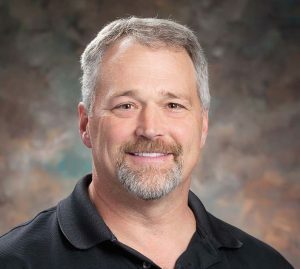 Jay Keeling is a professional electrical engineer with 30 years of experience and a veteran POWER project manager who specializes in management and design supervision for large utility substation and transmission facility projects.